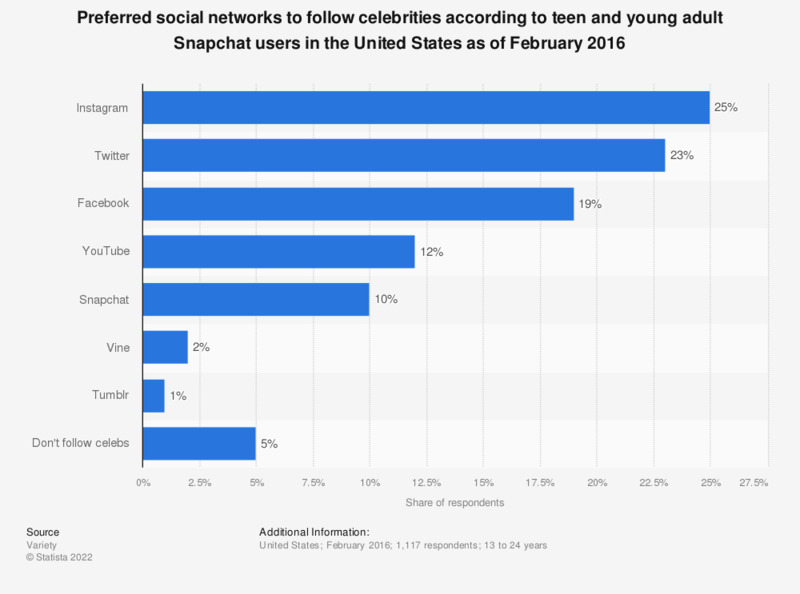 This statistic ranks the preferred social networks to follow celebrities according to teen and young adult Snapchat users in the United States as of February 2016. During the survey period, a quarter of respondents stated that they preferred to use Instagram to follow celebrities. Only five percent of responding teens and young adults did not follow any celebrities online.